The campus community is invited to attend this year's Baker Forum, "Our Collective Journey Begins: Real and Raw, An Intimate Dialogue to Get Us on Track," from 2 to 4 p.m. Friday, May 4, in the Performing Arts Center. This year's recent incidents have provided an opportunity for real dialogue that will help the university transform. Kimberly McLaughlin-Smith, a diversity specialist at the University of North Carolina-Wilmington who is consulting with Cal Poly to lead the university in some initial healing steps, will deliver the keynote address, "Journey to October." The forum will also include a dialogue with panelists José Navarro, assistant professor, Ethnic Studies Department; Leilani Hemmings Pallay, an ethnic studies student; Professor Patrick Lin, Philosophy Department; Professor Stan Yoshinobu, Mathematics Department; Bryan Hubain, assistant dean of students and director of the Cross Cultural Centers; and San Luis Obispo Mayor Heidi Harmon. 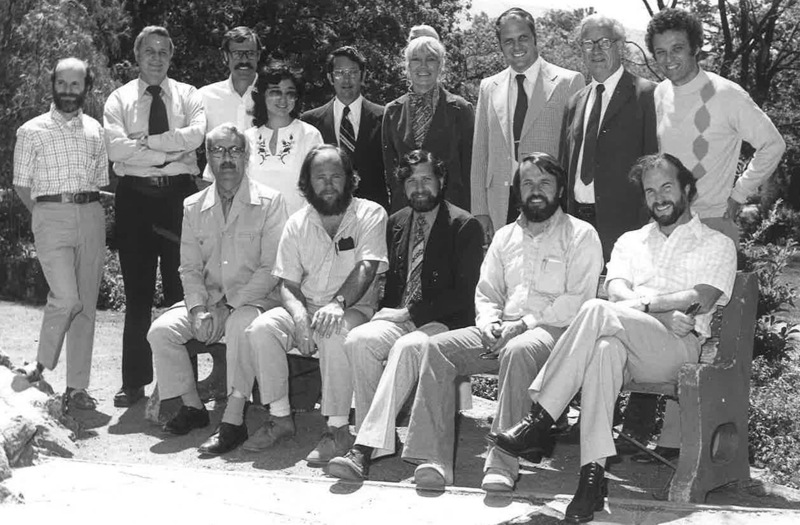 The Baker Forum was established in 2002 by the Cal Poly’s President’s Council of Advisors on the occasion of two decades of service to Cal Poly by Warren J. Baker and his wife, Carly. The biennial event provides an opportunity for campus and community members to come together in an issue-focused setting designed to foster dialogue, highlight issues of critical importance and stimulate creative responses. Learn more at https://president.calpoly.edu/bakerforum. 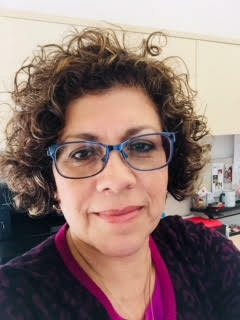 — Michelle M. Camacho, Ph.D.; faculty administrator, University Relations; professor, Department of Sociology; University of San Diego; May 7-8. The open forum will be held from 11:10 a.m. to noon Tuesday, May 8. 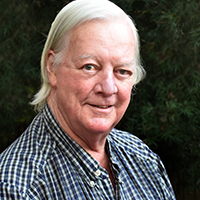 — Jon B. Gould, Ph.D.; professor, School of Public Affairs; director, Washington Institute for Public Affairs Research; chair, Department of Justice, Law and Criminology; affiliate professor, Washington College of Law, Women’s Studies; American University; May 10-11. The open forum will be held from 11:10 a.m. to noon Thursday, May 10. — Madhavi M. McCall, Ph.D.; associate dean, College of Arts and Letters; professor of political science; San Diego State University; May 14-15. The open forum will be held from 11:10 a.m. to noon Tuesday, May 15. 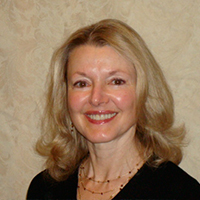 — Kate Drowne, Ph.D.; associate dean for academic affairs, College of Arts, Sciences, and Business; professor, Department of English and Technical Communication; director, Center for Science, Technology, and Society; Missouri University of Science and Technology; May 17-18. The open forum will be held from 11:10 a.m. to noon Thursday, May 17. 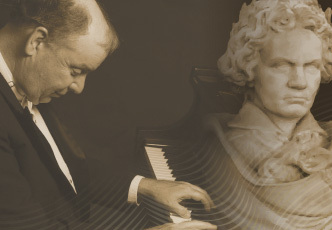 Curricula vitae, biographies and candidate photos are available on the Academic Personnel website: https://academic-personnel.calpoly.edu/content/announcements. — "Another Type of Groove" spoken word from 8 to 10 p.m. Wednesday, May 2, in the UU Plaza. — "The Life of Dolores Huerta" Learning Circle from noon to 1 p.m. Thursday, May 3, in the University Police Department training room (No. 36, Room 105). — "Queer Inhumanisms: Thinking with Race and Disability" featuring Mel Chen of UC Berkeley, at 2:10 p.m. Monday, May 7, in the Advanced Technology Laboratories (No. 7). — "Dolores Huerta: Change Maker and Civil Rights Leader," featuring a talk by Huerta from 6 to 7:30 p.m. Thursday, May 10, in Chumash Auditorium. See the full list of events for the entire month at www.facebook.com/DiversityCalPolySLO/. Questions? Email diversity@calpoly.edu. The Architectural Engineering (ARCE) Department has earned the 2018 American Society of Civil Engineers Walter LeFevre Award, recognizing the program’s efforts to promote the highest professional standards in licensures, ethics and professionalism. The national award was established in 2007 and is given annually to an ABET-accredited civil, architectural or construction engineering program. This is the first year the ARCE Department has won the award — it was recognized with an honorable mention in 2016 and 2017. The department, which won in the large program category, was singled out for its high percentage of ARCE faculty members with both Professional Engineer (P.E.) and Structural Engineer (S.E.) 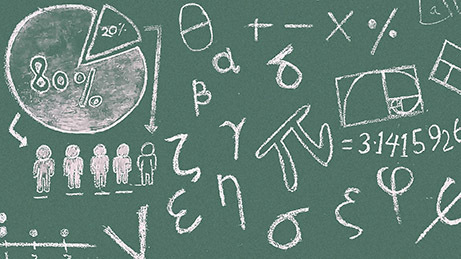 licenses, the practitioner path to tenure and promotion for faculty, and the two-decade track record of an 85 percent pass rate on the Fundamentals of Engineering exam (required to receive a P.E. license). 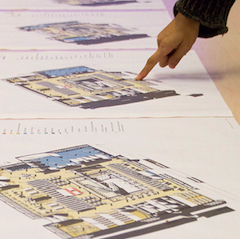 Other factors include the real-world, hands-on emphasis of the curriculum; the interdisciplinary collaboration with the Architecture and Construction Management departments; the support of the structural design industry; the international experiences available to students; and the accomplishments of the Structural Engineer Association of California/Architectural Engineering Institute student chapter. Department Head Al Estes will accept the award on behalf of the department at the Civil Engineering Department Heads conference May 29 in Philadelphia. 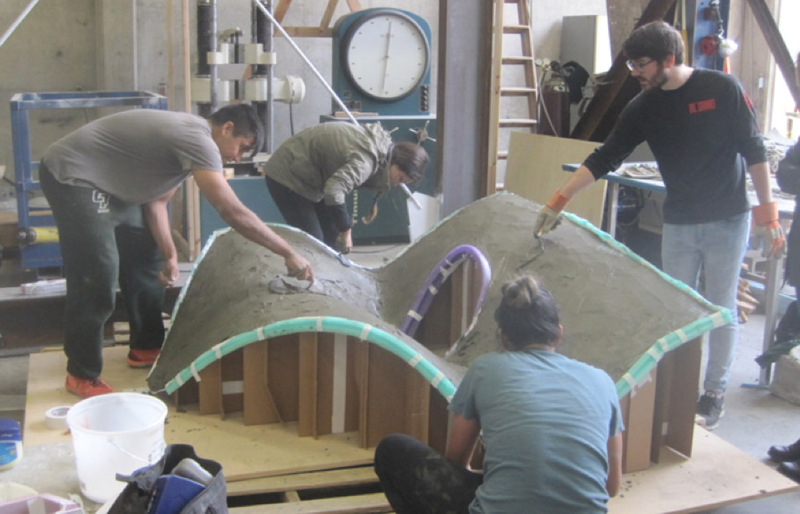 (Pictured are students from the Architecture and Architectural Engineering departments working on an interdisciplinary senior project that required them to conceptually design and then build complex shell structures.) Read more here. The campus community is invited to attend a workshop titled Responding to Hidden Bias, which focuses on responding to your own and others’ biases. Participants will have the opportunity to dig deeper to develop and practice ways to respond to intentional and unintentional bias and learn of resources for additional learning. This workshop is at the request of those who already attended the Exposing Hidden Bias workshops focused on increasing awareness of unconscious bias and strategies for avoiding its impact in our work and relationships. Participants are encourage to first attend the Exposing Hidden Bias workshop as a baseline prior to registering for the Responding to Hidden Bias workshop. Select the preferred workshop for more information and to register: Exposing Hidden Bias and Responding to Hidden Bias. A political science major seeking to study law is Cal Poly’s 2018 representative to the Panetta Institute for Public Policy’s Congressional Internship Program. The program gives students the opportunity to work and study in Washington, D.C. Philip “RJ” Abarquez will spend two weeks in August training at the Panetta Institute at CSU Monterey Bay, followed by 11 weeks in the nation’s capital working full time in the office of a congressional representative. He is among 26 students from around the Golden State taking part in the program. Participants were nominated by their respective campus presidents. 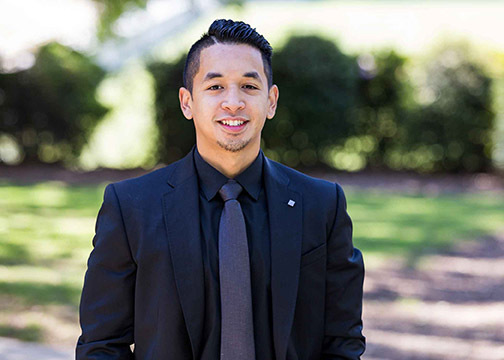 Abarquez, who will graduate next year before pursuing a law degree, has dreamed of running for public office. “My hope,” he said, “is that this internship will shine a light on what it takes to succeed as a public employee in the political arena.” The Panetta Institute awards scholarships to students from each of the 23 CSU campuses along with one each from Dominican University of California, Saint Mary’s College of California, and Santa Clara University. This year is the 20th anniversary of the celebrated program, recognized as one of the leading internship courses in the nation because of the rigorous training it provides. The program is open to all academic majors. Abarquez is the 18th Cal Poly student to participate in the program since 2001. Read more here. 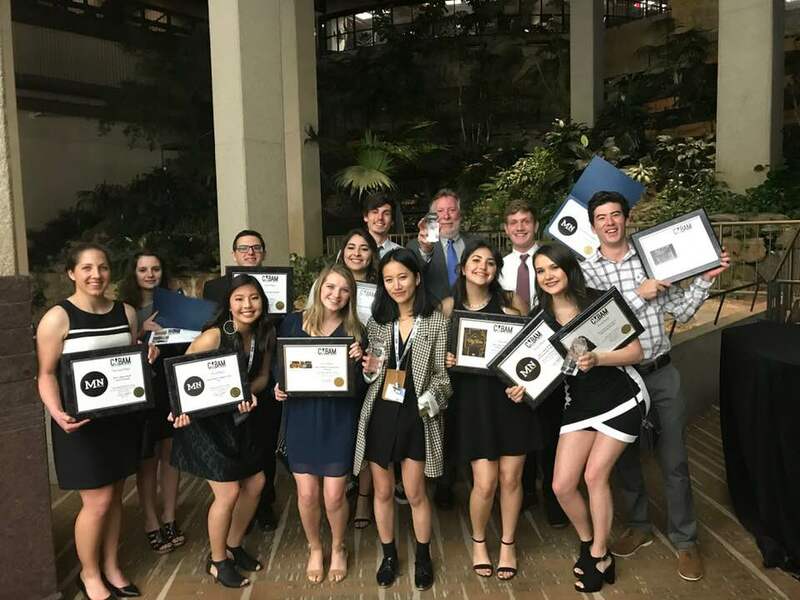 Mustang Media Group (MMG), the Journalism Department’s student-run media group, received national recognition with 15 awards during the College Media Business and Advertising Managers annual 2018 awards ceremony in March. Three of the awards — including two first-place titles — went to individual students. “Over the past 12 years, Mustang Media Group has established itself as one of the top advertising, marketing and business programs in the nation,” MMG General Manager Paul Bittick said. “These awards confirm that standing and attest to the quality of the student media group.” This year, the two first-place individual awards went to journalism senior Hannah Avdalovic, who was named Best Marketing and Public Relations Manager in the nation; and communications studies senior Emily Manos, who was named Best Advertising Manager in the nation. Journalism junior Bianka Pantoja took home a second-place title for Best Sales Representative in the nation. MMG received 12 other awards, including three first-place awards for Best Digital Sales Increase, Best Audience Engagement Strategy and Best Social Media Strategy. Read more here. The Dairy Challenge Team earned first place at the 17th annual North American Intercollegiate Dairy Challenge, held April 12-14 in Visalia, California. The win marks the fourth time in five years that Cal Poly has won the Dairy Challenge Platinum Award. The students assessed all aspects of a working dairy farm and developed a farm analysis that included a list of recommendations related to facilities, nutrition, financials, reproduction and animal health. The Cal Poly team ranked first in its division. In all, 235 students from 28 states representing the top animal and dairy programs in the U.S. and Canada competed at the event. 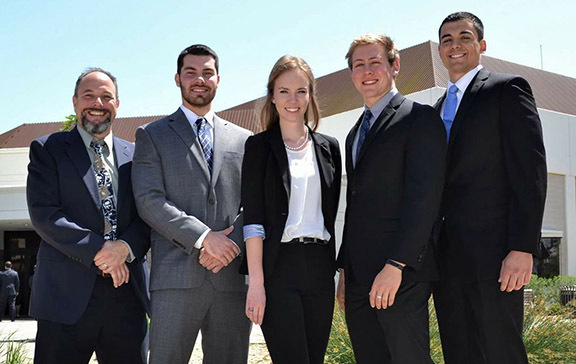 The Cal Poly team members on the winning team were Anthony Echeverria, Amber LaSalle, Matt Ruby and Tony Lopes. The team was coached by dairy science Lecturer Rich Silacci, Assistant Professor David Vagnoni and Professor Julie Huzzie. Students Hannah Neer, Elisabeth Regusci and Tate Nelson also competed at the event. 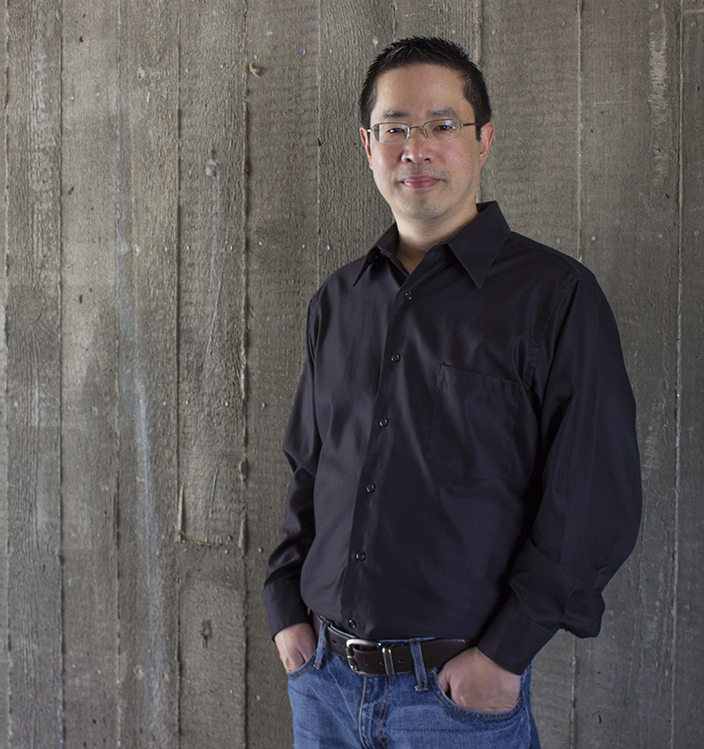 Patrick Lin, a professor in the Philosophy Department and director of the Cal Poly Ethics + Emerging Sciences Group, was selected for the Fulbright Specialist Program. The Fulbright Specialist Program sends U.S. faculty and professionals to serve as expert consultants at academic host institutions abroad for a period of two to six weeks. As a Fulbright Specialist, Lin will spend two weeks this summer at the University of Iceland, Reykjavik, organizing an “Emerging Arctic Conflicts, Law and Ethics” workshop. The two-day international workshop, June 18-19, will develop scenarios on future Arctic conflicts and explore their emerging legal and ethical implications. As melting ice opens up new waterways in the region, Lin and other experts predict increasing political and economic competition for those trade routes and new access to energy and mineral resources — making the Arctic frontier into a potential geopolitical flashpoint. Faculty with any interest in funding and research to practice collaborations related to: bystander intervention; social justice; violence prevention; health promotion; harm reduction; sexual assault and harassment; hate, bias and discrimination; hazing and bullying; and alcohol and other drugs misuse and abuse, are invited to attend a meet and greet from 11 a.m. to noon Thursday, May 10, at the Smith Alumni and Conference Center (No. 28). Faculty who have an interest in collaborating on funding and researching related topics are invited to attend, meet colleagues with similar interests, and be the first to hear about a new research funding opportunity. Coffee and snacks will be provided. Please RSVP by email to withus@calpoly.edu and learn more about with us at www.withus.org. 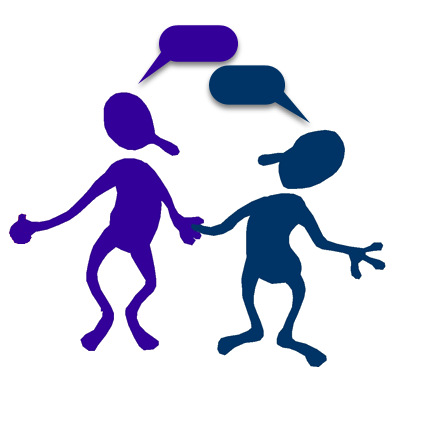 WITH US is a national multi-issue bystander intervention research center at Cal Poly, Student Affairs. The Center was established to prevent harm and lives lost to hazing, alcohol and drug abuse, sexual assault, hate and bias, and other forms of campus-based violence among college students. Due to the overwhelmingly positive response from the Winter Teach-In, the Office of University Diversity and Inclusion will host a "Teach On!" series for spring quarter. 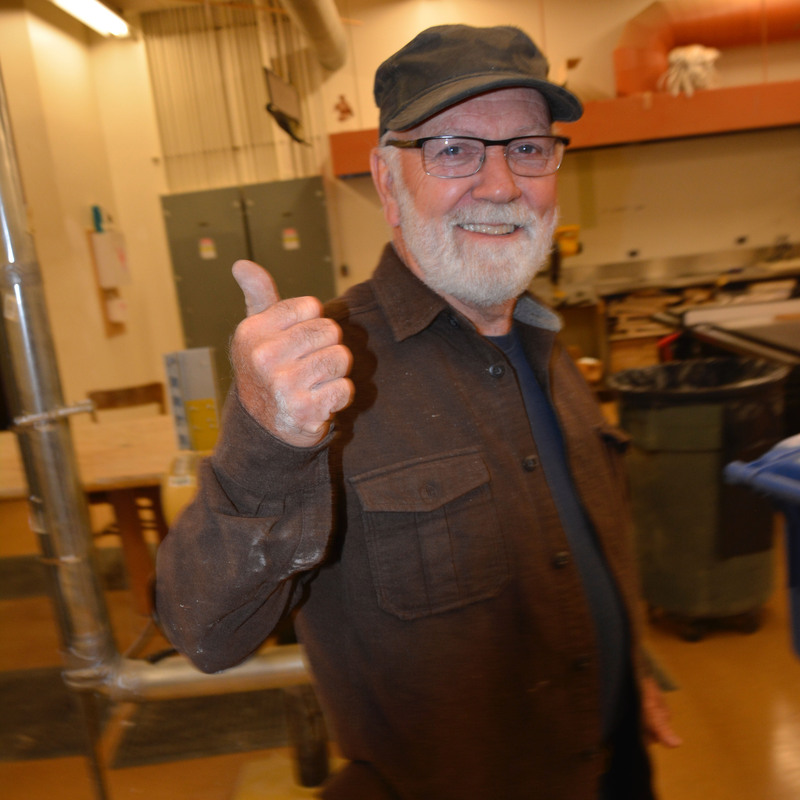 Faculty and staff are now presenting workshops on Thursdays through May 24 from 11 a.m. to noon in the Erhart Agriculture Building (No. 10), Room 220. The schedule is: May 3, "The Impact of Privilege: Masculinity, Sexual Assault, and the Entertainment Industry," featuring Nick Bilich; May 10, "Science and Fake News: Distinguishing Actual Science From 'Alternative Facts,' and the Influence on Public Policy," featuring Ben Ruttenberg; May 17, "Myth vs. Fact About Undocumented Students," featuring Katherine Zevallos Pastor and Zulema Aleman; and May 24, "Wakanda Forever: Race, Gender and the Revolutionary Mind: An Analytical Discussion of Black Panther," featuring Blanca Martinez-Navarro, Blaze Campbell, Denise Isom, Jenell Navarro, Oscar Navarro and Steve Ross. 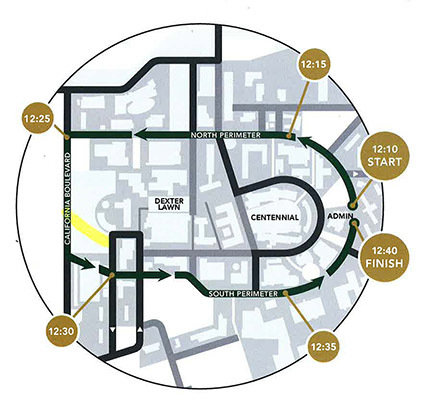 All events are open to the campus community. For more information, contact diversity@calpoly.edu, or visit OUDI's Facebook page. Saturday, May 5, for Asian Pacific Islander Faculty and Staff Association (APIFSA) scholarships. The scholarships’ aim is to support students with financial need who have made significant contributions to Asian and Pacific Islander communities. The APIFSA is committed to supporting Asians and Pacific Islanders in higher education to become strong leaders and to create networking and social opportunities. Questions? Contact Samantha Tran, APIFSA planning committee member, at stran19@calpoly.edu. 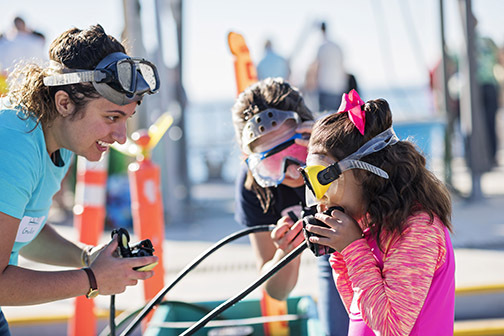 The Society of Women Engineers invites students to its semi-annual Build an Engineer Day when several engineering clubs host fun, hands-on labs such as launching mini rockets and engineering a mechanical hand. This event gives all students — male and female — the opportunity to spend the day on campus and experience multiple engineering activities led by current engineering students and SWE volunteers. This event is perfect for middle schoolers; however, fifth and ninth graders can benefit as well. Build an Engineering Day will take place from 8:30 a.m. to 2:30 p.m. Saturday, May 12 in the Advanced Technology Laboratories (No. 7), near Engineering Plaza. There is no fee for participants referred by Cal Poly faculty or staff — be sure to type "CP Faculty/Staff" in the "Other" question when registering. To register, fill out this google form. The deadline to register is 11:59 p.m. Saturday, May 5. Questions? Email cpswemsoutreach@gmail.com. 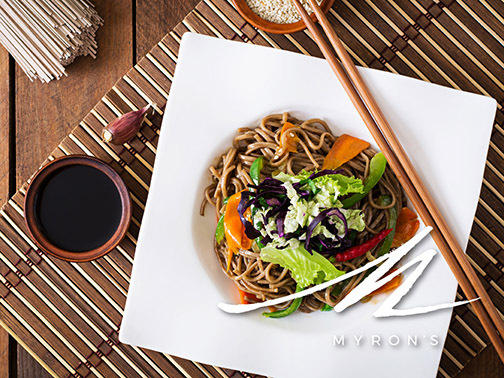 Myron’s, Cal Poly’s bistro-style restaurant, is bringing tastes from around the world to the mixer from 4 tp 6 p.m. Thursday, May 3. The mixer will offer a special tasting of Thai noodle salad, jumbo shrimp boraccho with tequila, lime and smoky salsa, Asian braised short rib sliders with red cabbage slaw, gazpacho shooters and chocolate dipped churros. The cost is $6 per guest, which includes two glasses of beer or wine. Myron’s is located upstairs in the Dining Complex (No. 19), across from the Rec Center. For additional information, visit https://www.calpolydining.com/myrons/. The Retired Faculty and Staff Club will meet at Kennedy Library on Wednesday, May 16, to get an update on library projects and tour and discuss a new exhibit, "Building the Cal Poly Campus: 1902-2022," presented by Special Collections and Archives. 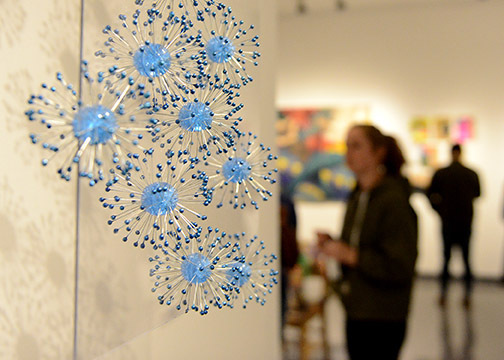 The exhibit showcases artifacts from University Archives that reveal the evolution and expansion of the Cal Poly campus and features work created by current students. Visit http://lib.calpoly.edu/events/buildingcalpoly/ to learn more. The event is free and will be held from 1:30 to 3 p.m. at Kennedy Library (No. 35), Room 409. Reservations are required; those who signed up at the April 18 luncheon do not need to RSVP again. RSVP to Gail Simmons by Thursday, May 10, at 805-462-9148 or gsimmons@calpoly.edu. Several reserved parking spots will be available in the parking lot across from the library near the Bonderson Engineering Project Center (No. 197) in parking lot H-2. The parking spots are intended for those who are challenged to walk a great distance. Dolores Flores, IT personnel analyst, will retire on Friday, May 4, after 17 years of service. Flores began her work on campus as a personnel assistant for Academic Personnel before working as a personnel analyst at the Orfalea College of Business for eight years. In her last three years, she has been an integral part of the Information Technology Services human resources activities, bringing wisdom, grace and commitment to excellence in all she does. In addition to her work, Flores encouraged the successes of fellow staff, faculty and students on campus with her involvement in the Chicanx Latinx Faculty Staff Association and as advisor to Cal Poly’s Ballet Folklórico club. Upon retirement, Flores looks forward to spending more time with her family, volunteering with her church and traveling with her husband. She has requested a private send-off, but you may send well wishes to mdflores@calpoly.edu. Jeanne Schrader, beloved administrative assistant and mom to the Admissions Division, is retiring from Cal Poly in May. Schrader's 10 years of service to Cal Poly began in 2008, when she started in University Housing Business Services. Two years later, she joined the Advancement office in the College of Engineering. 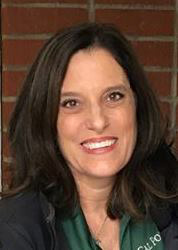 In May 2012, Schrader was named administrative analyst for Admissions and Vice Provost of Enrollment and Chief Marketing Officer James Maraviglia. Her loyalty and devotion to the campus community has been exceptional and many will miss her kindness, warmth and thoroughness. Before Schrader and her husband, Mike (of Cal Poly's Facilities Management), retire to their hometown of Highland, California, the Admissions Division will honor her with a send-off reception open to all friends and colleagues from 3 to 5 p.m. Friday, May 11, in Chumash Auditorium in the UU. Andy White, parking officer in Public Safety, has qualified for catastrophic leave. Those wishing to donate leave credits to help him remain in full-pay status during an extended leave of absence should contact catastrophic leave coordinator Kathleen Cook at ext. 6-6675 or kacook@calpoly.edu to request a donation form. Amy Wiley, lecturer in the College of Liberal Arts — English, has qualified for catastrophic leave. Those wishing to donate leave credits to help her remain in full-pay status during an extended leave of absence should contact catastrophic leave coordinator Susan Bratcher at ext. 6-5850 or sbratche@calpoly.edu to request a donation form. 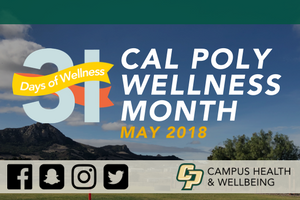 Calling all faculty, staff and students — Campus Health and Wellbeing is hosting the second annual Cal Poly Wellness Month. The 31 Days of Wellness happens in May during Mental Health Awareness Month. Join us for Wellness Fairs, Learn @ Lunches, fun activities and events. This annual event is made possible by many campus and community partners who support campus well-being. Wellness isn't just about our physical health; wellness is a part of our community well-being, social relationships, emotional health, career development, academic success, financial well-being and physical health. Help us celebrate our Cal Poly legacy of wellness on campus by supporting our campus and community partners who make it all happen. Join the fun by downloading the Cal Poly Now App and using the “Be Well at Cal Poly” guide to register and see all the events. Learn more at https://mycpwell.com/calpolywellnessmonth/ or email wellbeing@calpoly.edu. 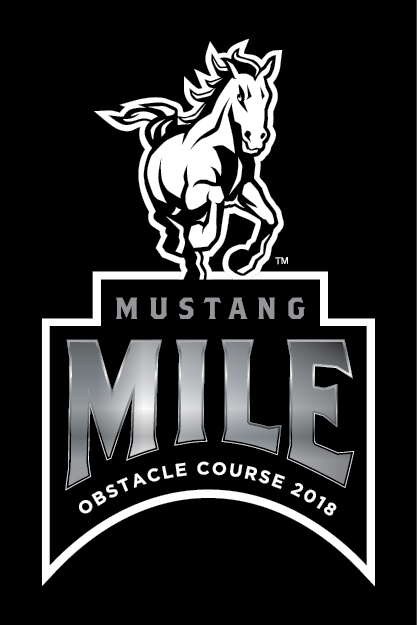 Experience a revamped version of the classic Cal Poly tradition with this year’s seventh annual Mustang Mile: Obstacle Course from 4 to 6:30 p.m. Thursday, May 17, at the new Doerr Family Field and Miller and Capriotti Athletics Facility. Grab a team of five to compete in 12 different activities including a sandbag carry, potato sack race, trivia and inflatable obstacles. Mustang Mile is held each year in honor of Carson Starkey. Presented by ASI Intramural Sports in collaboration with Aware Awake Alive, Mustang Mile seeks to provide health and wellness resources that will educate students on the signs of alcohol poisoning and the dangers of binge drinking. All participants are invited to a free barbecue hosted by the Fraternity and Sorority Life office from 1 to 4 p.m. in the Recreation Center MAC plaza. Prizes will be awarded to winners of different categories, including best costumes and quickest completion time. Only one team member is required to register. The registrant must be a Recreation Center member, but non-members may participate. Visit ASI Access to register. The cost is $50 per team. For more information, contact ASI Recreational Sports Coordinator Sean Pellerin at ext. 6-7501 or spelleri@calpoly.edu. The Information Security Office will host an information security forum open to staff, faculty and students at 11 a.m. Wednesday, May 30, in UU 220. 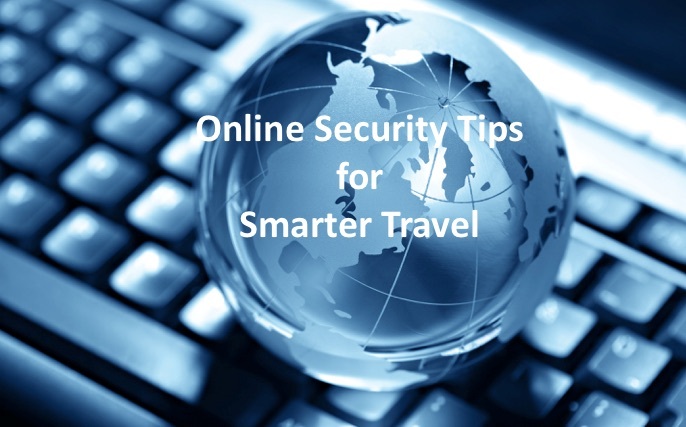 Just in time for summer travel, the forum will provide a focused discussion on mobile device security and provide tips to prevent personal data loss while traveling with mobile devices. The information security team will be on hand to answer questions about secure mobile device travel. Questions? Contact Doug Lomsdalen at ext. 6-7686 or dlomsdal@calpoly.edu. Learn more at https://security.calpoly.edu/. — May 4 and 16, 12:15–1:15 p.m.: Navigating Nutrition. Open to the campus community. 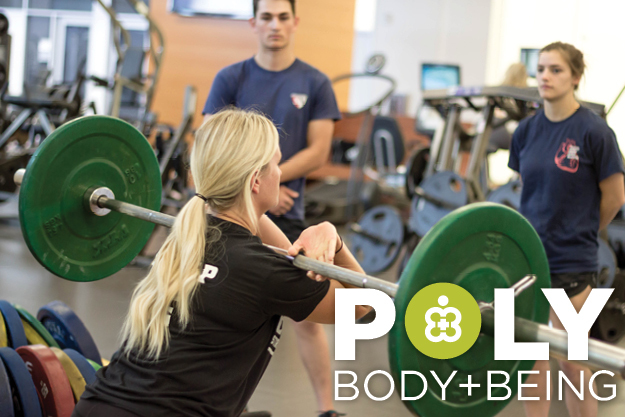 — Every Thursday, May 10–May 31, 5–6:30 p.m.: Women and Weights. — Friday, May 11, 1:30–3 p.m.: Practice of Balance. — Saturday, May 12 and 19, 9:30–11:30 a.m.: Olympic Lifting. — Tuesday, May 15, 12:15 to 1:15 p.m.: Energy Max. Open to the campus community. An interactive panel featuring leaders in technology from industry, government, law enforcement and higher education will speak at a Women in Cyber Leadership Forum from 6:30 to 8 p.m. Wednesday, May 9, in the Advanced Technology Laboratories (No. 7). Topics include the state of security in government, industry and education; law enforcement and digital forensics, the Fourth Amendment and California Electronic Communications Privacy Act; hackers and the human factor; internships and career opportunities in cybersecurity; ransomware and zero-day threats; and the future of cybersecurity. Panelists include Alison Robinson, associate vice president of information technology at Cal Poly; Pamela Warren, director of government and industry initiatives at Palo Alto Networks; Melanie Donaldson, enterprise account manager for MSAB, a pioneer in forensic technology for mobile device examination; Alyssa Habling, senior account manager for Bugcrowd, which connects organizations to a global crowd of trusted security researchers to identify vulnerabilities; Patricia McQuaid, Cal Poly management information systems professor; Danielle Borelli, business services coordinator, California Cybersecurity Institute; Stephanie Cervantes, retired chief information technology security officer for the California Department of Justice; Natallia Beliakova, head of operations for Onica; and Susan Rice, senior director of user experience for Mindbody Inc. The event is free and open to the campus community and the public. Register at https://www.eventbrite.com/e/women-in-cyber-leadership-forum-tickets-44820851373. Questions? Contact Jimmy Baker at jbaker30@calpoly.edu or ext. 6-2948. Baseball vs. UC Santa Barbara, Baggett Stadium, 6 p.m. Baseball vs. UC Santa Barbara, Baggett Stadium, 1 p.m.
#104876 — Career Readiness Professional (Student Services Professional II), Orfalea College of Business. $4,057 to $5,769 per month. (Anticipated hiring range: $4,057 to $4,300 per month). Open until filled. #104879 — Strategic Business Services Coordinator (Administrative Support Coordinator II), Athletics. $3,115 to $5,316 per month. (Anticipated hiring range: $3,500 to $4,000 per month). Open until filled. #104877 — Assistant Director of Office of Student Rights and Responsibilities (Administrator I), Dean of Students. $2,502 to $8,818 per month. (Anticipated hiring range: $5,000 to $5,900 per month). Open until filled. #104866 — Plumber (Plumber), Administration and Finance — Facilities Operations — Plumbing. $5,211 to $6,729 per month. (Anticipated hiring range: $5,211 to $5,732 per month). Open until filled. #104885 — Radiologist Technologist/Medical Assistant (Radiologic Technologist), Student Affairs – Health Services. $2,958 to $5,379 per month. (Anticipated hiring range: $2,958 to $3,800 per month). Open until filled. #104881 — Admissions Officer (Student Services Professional II), Academic Affairs — Admissions, Recruitment and Financial Aid. $4,057 to $5,769 per month. (Anticipated hiring range: $4,057 to $4,200 per month). Open until filled. #104880 — Financial Aid Scholarship Counselor (Student Services Professional II), Academic Affairs – Admissions, Recruitment and Financial Aid. $4,057 to $5,769 per month. (Anticipated hiring range: $4,057 to $4,200 per month). Open until filled. 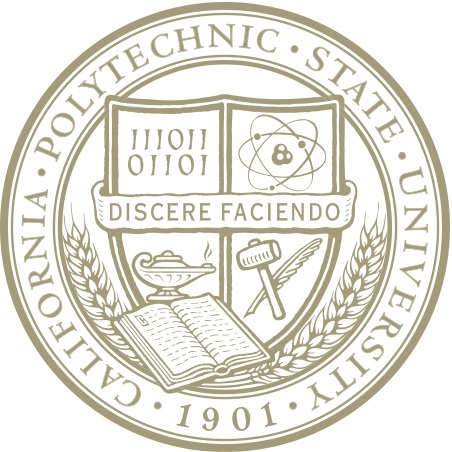 #104855 — Temporary, Part-Time Administrative Support Assistant (Administrative Support Assistant II), College of Engineering — Biomedical Engineering. $2,600 to $4,328 per month. (Anticipated hiring range: $2,600 to $3,609 per month). Open until filled.